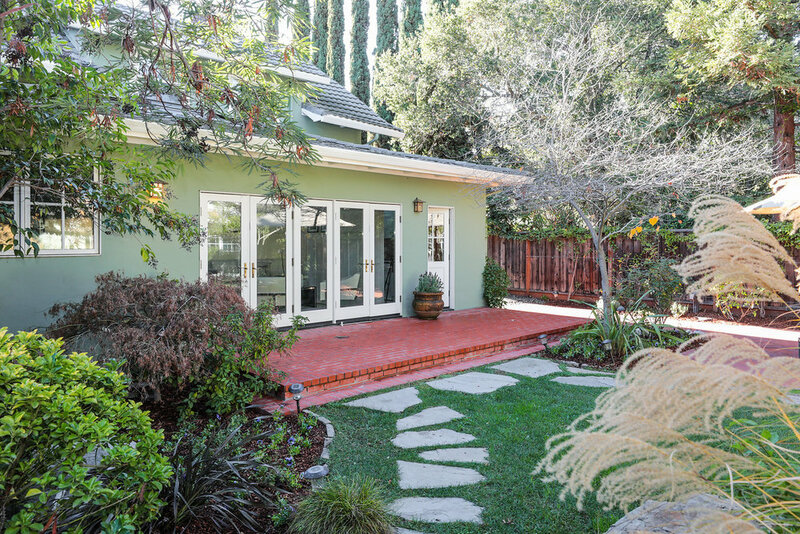 Located in the sought-after College Terrace neighborhood, this home is less than one block from Stanford University and offers abundant privacy from being on a non-through street. The original home dates back to 1906, and while glimpses of its early heritage are still apparent, today the home is extensively updated with luxurious designer style. A welcoming arbor frames leafy views and a traditional front porch introduces the home. Inside, classic hardwood or Douglas fir floors, many with inlaid feature strips, unify the two-story floor plan. Of-the-era lighting and glass door knobs recall the home’s treasured past along with traditional wainscot paneling and timeless crown moldings. A formal living room and separate formal dining room invite entertaining on any scale, but it is the kitchen and family room combination that is certain to be the home’s central gathering place. Copper countertops aged with a lustrous patina, a butcher block island, and a professional quality Viking gas range are just a sampling of the kitchen’s remodeled excellence and features that are ready for the most demanding chef. 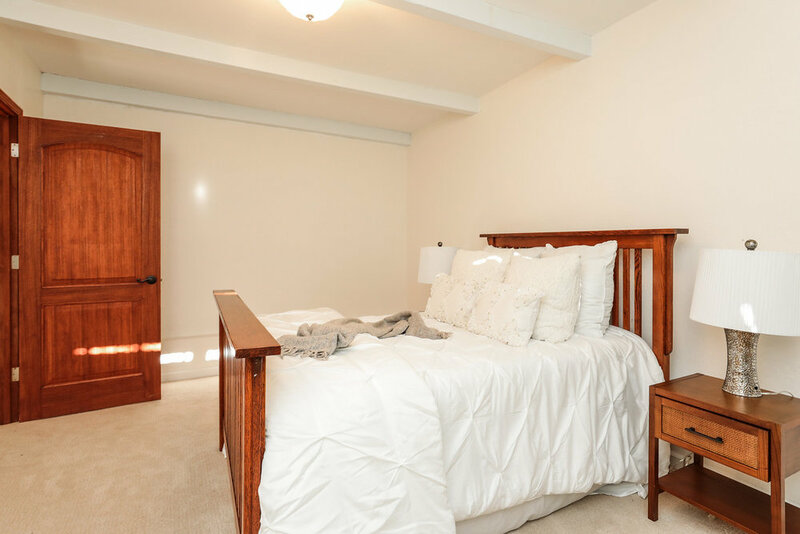 Two bedrooms round out the main level, either of which would be ideal for a home office – one with a fireplace and one with outside entrance and remodeled en suite bath. 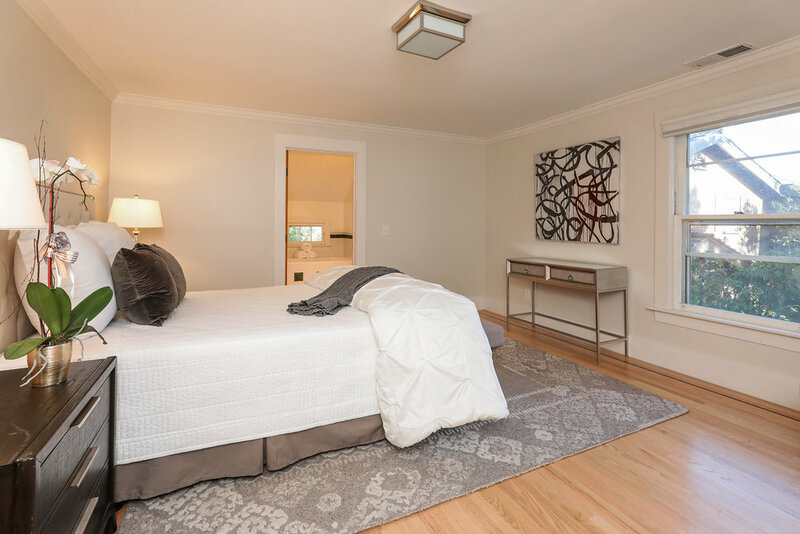 Upstairs, there are three additional bedrooms, including a sumptuous master suite. 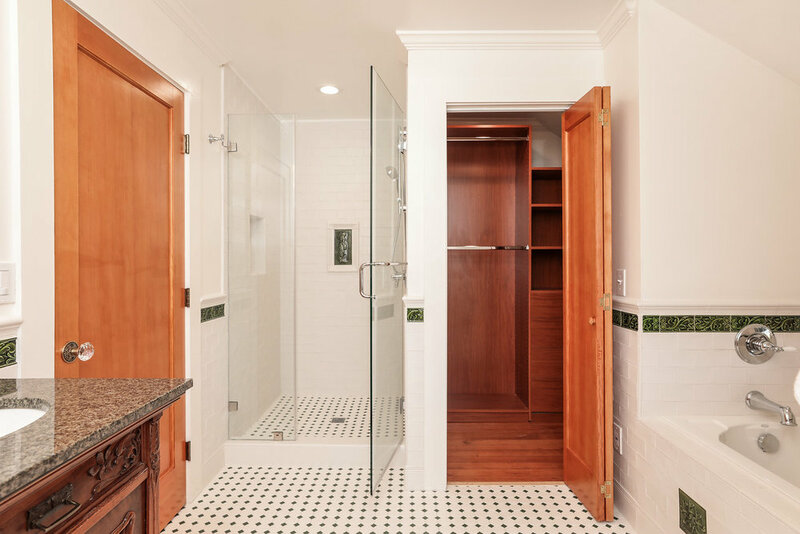 Both bathrooms on this level have been beautifully updated with Carrara marble finishes, furniture-style vanities, and even a claw-foot tub with overhead shower in the hallway bathroom. Closets are organized for convenience and large windows fill the rooms with tree-top views and natural light. 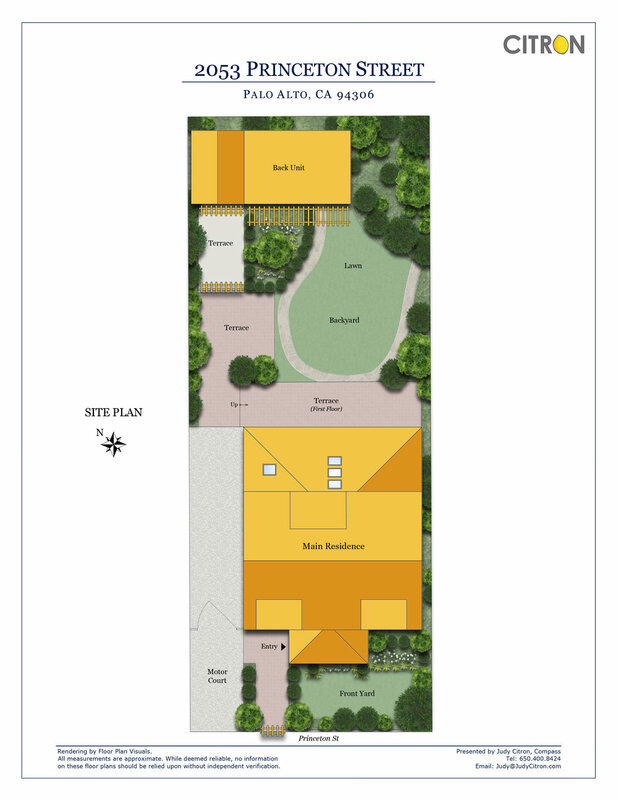 Adding to the home’s accommodations is an accessory unit beyond the private and spacious rear yard. Sliding glass doors open to a finished room with cathedral ceiling and extensive library storage plus an adjoining large room with barn door outside entrance. An additional third room, only accessed from the outside, completes the building. The entire space offers flexible use today and potential for an accessory dwelling unit in the future (buyer to confirm with the City). 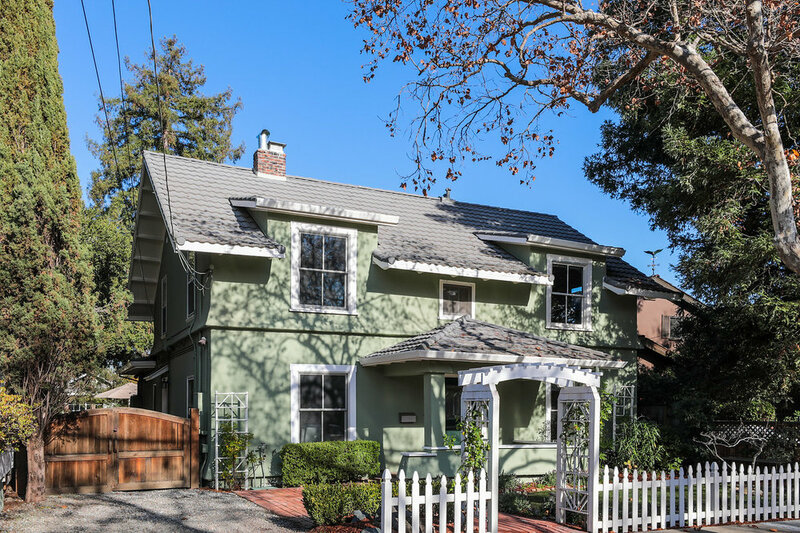 The finishing touch to this very special property is the home’s location just 4 blocks from Starbucks, an easy bike ride or walk to the Stanford Campus, one-half mile to shops and restaurants on California Avenue, and less than one mile to Caltrain. Plus, acclaimed Palo Alto schools are all nearby, including Escondido Elementary just three blocks away. Information request for 2053 Princeton St.